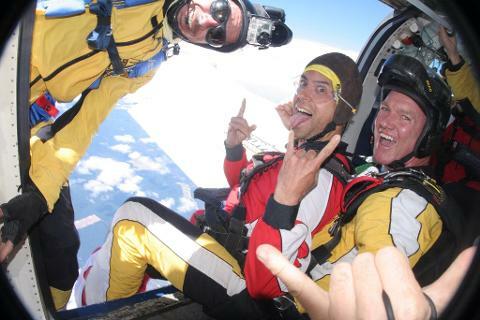 So want to jump from 18,500 feet?! You're in the right place! 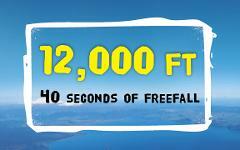 This is the ULTIMATE skydiving experience with over 75 seconds in free fall and a lifetime of incredible memories! 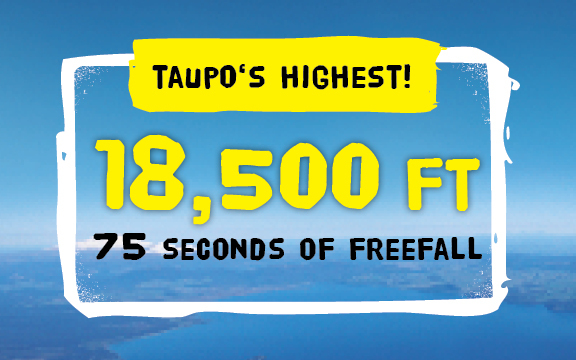 Our new 18,500 ft skydive is the HIGHEST altitude in Taupo - no one takes you higher! 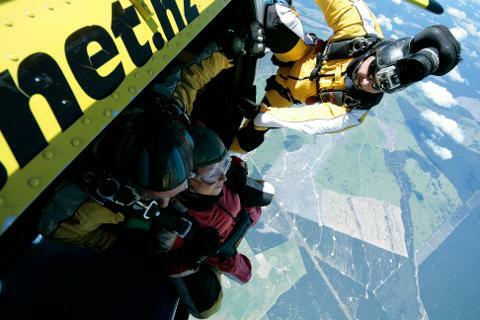 The sensation of free fall can't be described other than you'll feel #OnTopOfTheWorld. 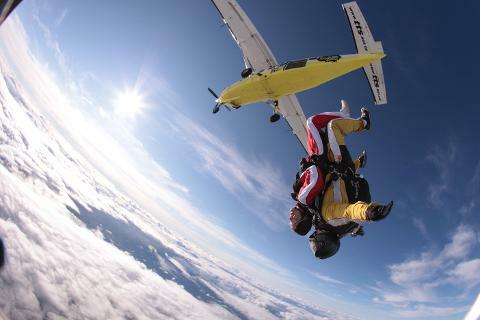 *T&C's apply: Not applicable with any other discount. Subject to operational requirements. 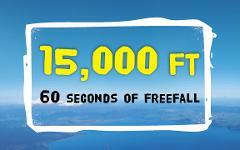 $100 off only applies to 18,500 ft. We have a 14 year age minimum for the 18,500 ft. So why choose us? 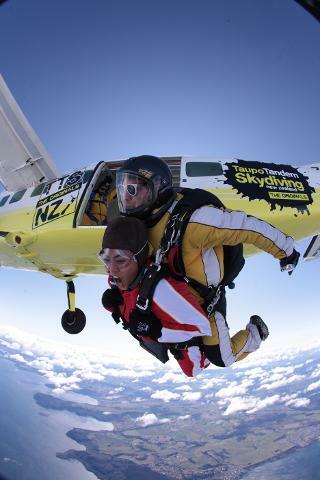 Taupo Tandem Skydiving are New Zealand’s top-rated skydive on TripAdvisor. 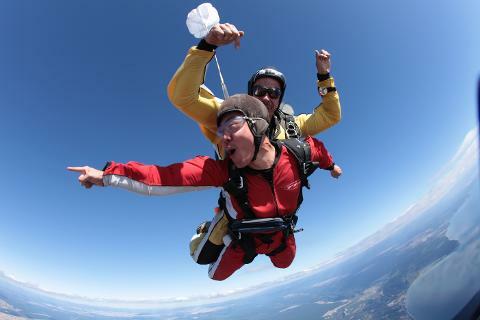 We work hard to give the best possible experience for each and every customer that comes through and you are no different! 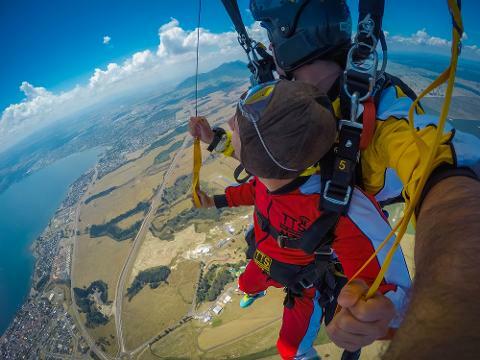 As a Gold Qualmark endorsed activity, your safety is our #1 priority!